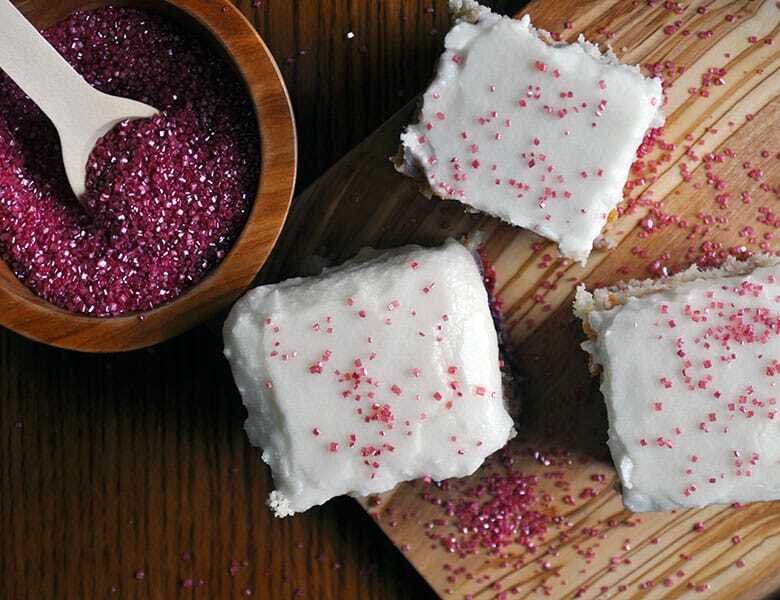 Little squares of berry snack cake with tart lemon icing. 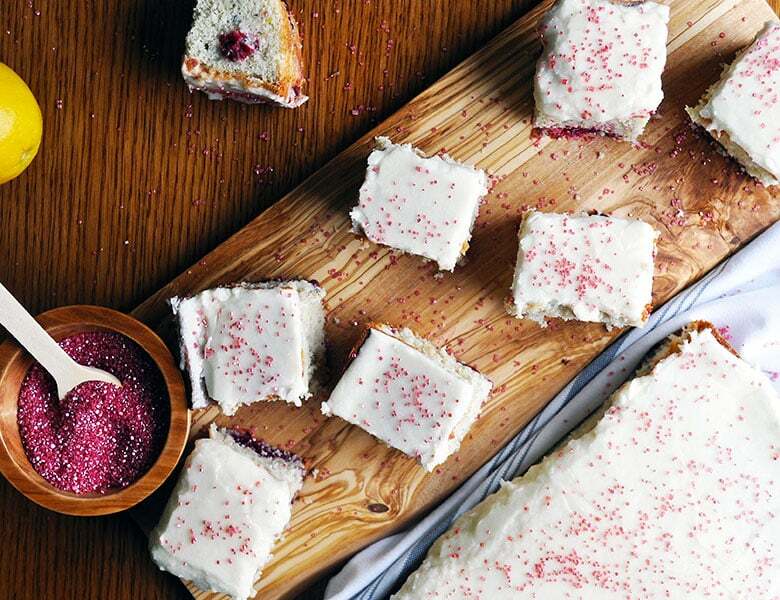 Tender squares of vanilla snack cake, spiked with lemon and berries and slathered with tart, sweet lemon icing. Plate and fork not required. I dreamt this recipe. Well, that’s not entirely true. 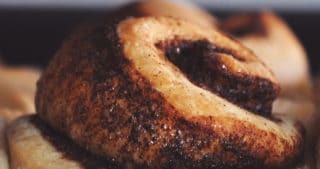 I dreamed that I was eating this cake and woke in the morning with such an intense craving for it that I rearranged my morning’s schedule to bake it. I am a fairly schedule driven person and rarely remember dreams. But for some reason I remembered my dream that morning – vividly – and felt that nothing on my agenda could possibly be as important as baking and eating that cake. How very impulsive of me. Adjusting my schedule to life’s rhythms is something I generally aspire to. I just can’t always tell you exactly what it means to do so successfully. There’s a trend right now in working America, driven largely by our millennial generation, towards flexible work environments that treat people’s lives more holistically instead of as two entirely separate pieces – personal and professional. I, of course, am a fan of this way of thinking as I’ve deliberately shaped my career to fit into my life, not the other way around. My ability to do this has worked brilliantly for my family, especially when the kids were young. My husband, a crazy talented and accomplished engineer, does not have a lot of flexibility within his schedule. The work itself tends to dictate his working hours. So, having one of us with a flexible schedule made things like picking a sick kid up from school in the middle of the day a simple matter instead of a total ordeal. But, beyond having a work schedule that allows room to take care of the rest of my life, I’ve been thinking a lot about how much, or how little, I should allow things like mood and inspiration to drive my schedule. Impulsively baking this cake is an example, albeit a somewhat silly one. I had scheduled my Friday morning to complete a client project, which was due the following Monday. Instead I baked this cake. As a result, I spent my Saturday morning completing the client project. No harm done. And I wonder…. had I pushed myself to complete the client work on Friday simply because that’s what my schedule said I should be doing, would I have been focused? Would I have done good work? There are days when work feels effortless. When every single sentence I write and idea that comes to mind feels inspired and right. And, then there are days when what should take one hour takes three and isn’t all that great in the end anyway. I wonder if I’d actually be more productive if I allowed mood and inspiration to be more of an influence over what I’m working on in any given moment. Or… perhaps all this rambling is just my way of justifying more mornings baking cake. Could be. I think I’m ok with that. 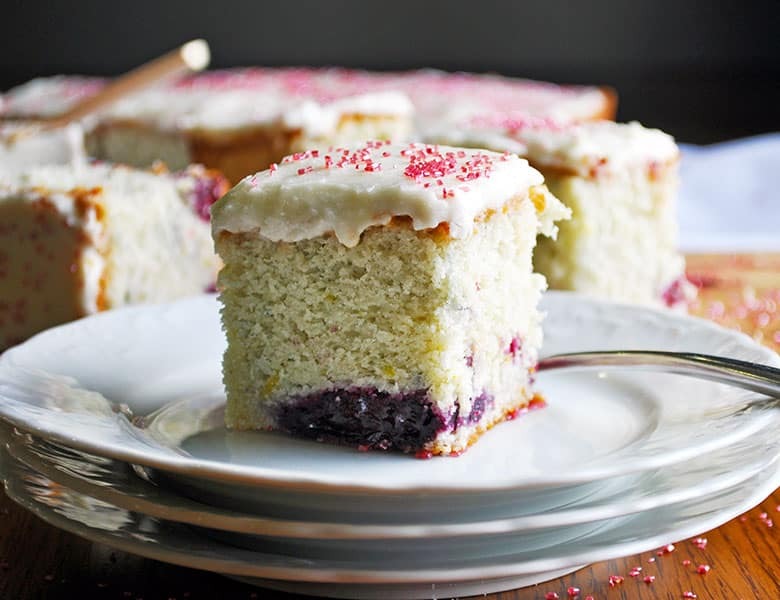 My husband and kids are certainly ok with that as it resulted in them coming home on a Friday afternoon to berry lemon snack cake. So, let’s talk about this cake for a bit, shall we? I love the very idea of “snack” cake. Until now, the cakes on this blog are somewhat grand affairs, created mostly for special occasions. Cakes like… Tripple-layer Red Velvet Cake and Strawberry Cake with Pistachio Buttercream. Caramel Cake with Salted Caramel Italian Meringue Buttercream and Chocolate Cake with Rum Custard and Almond Pralines. 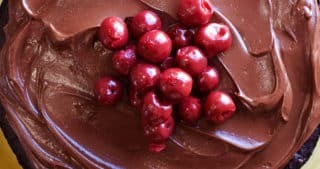 But, snack cake suggests something you can pick up with your fingers and eat in a few bites, standing over the kitchen sink in the middle of the afternoon. It’s the kind of cake that should bake up quickly and included ingredients that you probably have on hand most of the time. Snack cake is the type of thing you can add to a lunch box or set out on a tray for an after school treat. 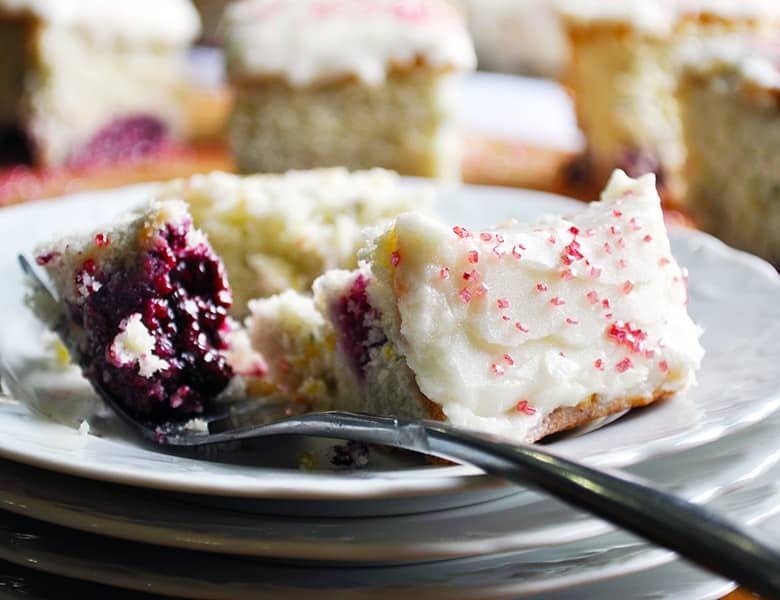 It’s an unpretentious bake-sale-worthy casual affair, plate and fork not required. This snack cake will conform to what you have on hand. I generally have some frozen berries in my freezer and lemons in my fruit drawer, so the lemon and berry flavors were an easy decision. But, fresh berries would work just as well as frozen. Or, leave the berries out completely. 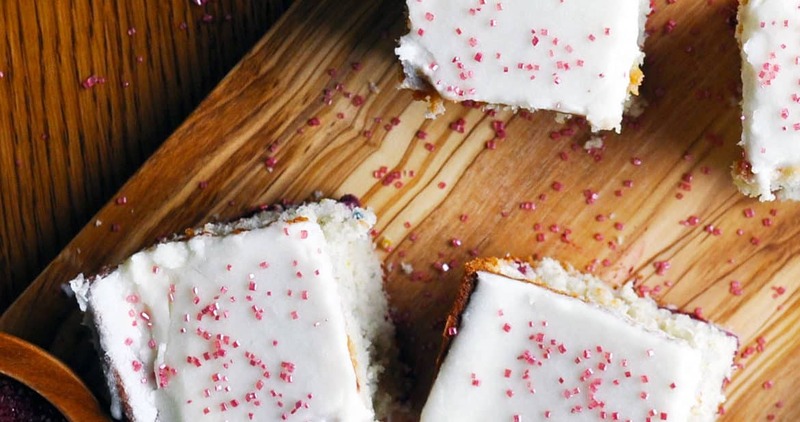 I love the lemon flavor in this snack cake, but even that can be left out if the snack cake craving strikes and you don’t happen to have any lemons on hand. Just leave the zest out of the cake batter and swap out the tsp of lemon extract for another tsp of vanilla. Or replace the lemon zest with with orange or lime zest. Likewise, you can replace the lemon juice with lime juice, orange juice, or milk. It’s snack cake. Do what you like. Preheat your oven to 350 degrees. 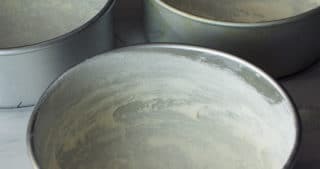 Grease a 9×13-in baking dish with vegetable shorting or butter, or spray with non-stick baking spray. Using an electric mixer, beat the egg whites until stiff peaks form. Set aside. 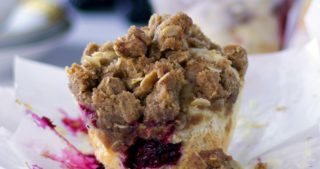 In the bowl of a standing mixer, add the rest of the snack cake ingredients except the berries. Beat on low to blend, then on medium-high for 2 minutes. 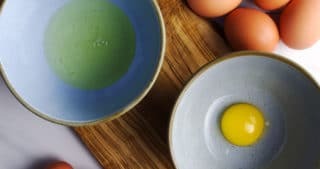 With a rubber spatula or wooden spoon, gently fold in the berries and then the egg whites. 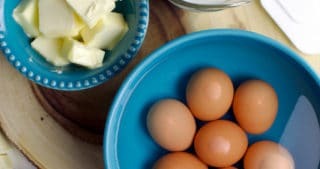 Stir carefully so as to not beat all the air from the egg whites. 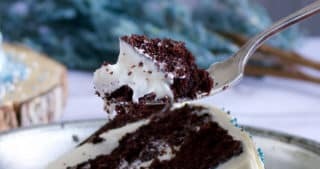 Pour the batter into the prepared pan and bake in your preheated oven for 45-60 minutes, until a toothpick inserted in the center of the cake comes out clean. Remove the cake to a wire rack and allow to cool completely in the pan before icing. 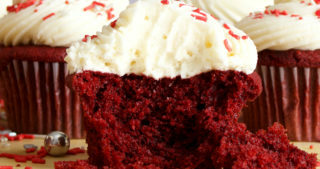 Add all the icing ingredients to a large mixing bowl and beat with an electric mixer until completely smooth. Adjust the amount of lemon juice and powdered sugar if necessary to achieve a spreadable consistency. Icing should be the consistency of yogurt. 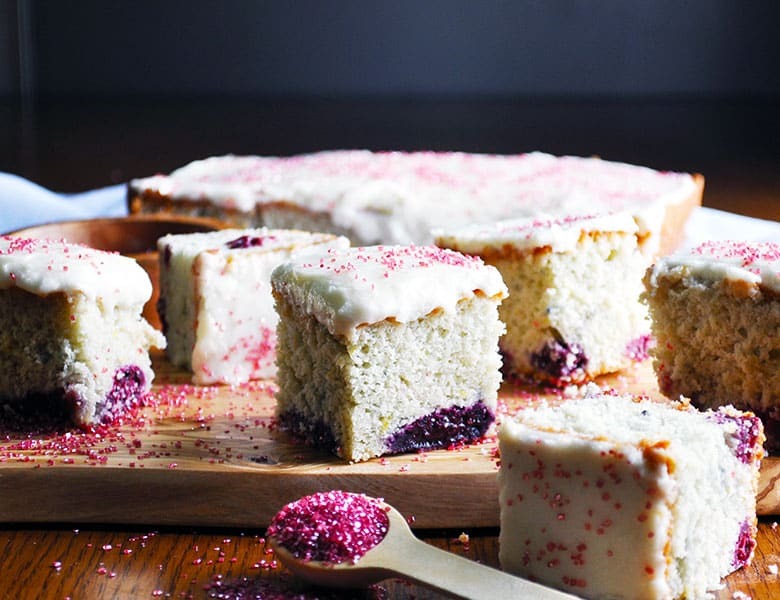 Spread the icing over the cake and allow it to set before cutting into squares, about 2 hours at room temperature or 1 hour in the refrigerator. Top with sprinkles if desired, cut into squares and serve. 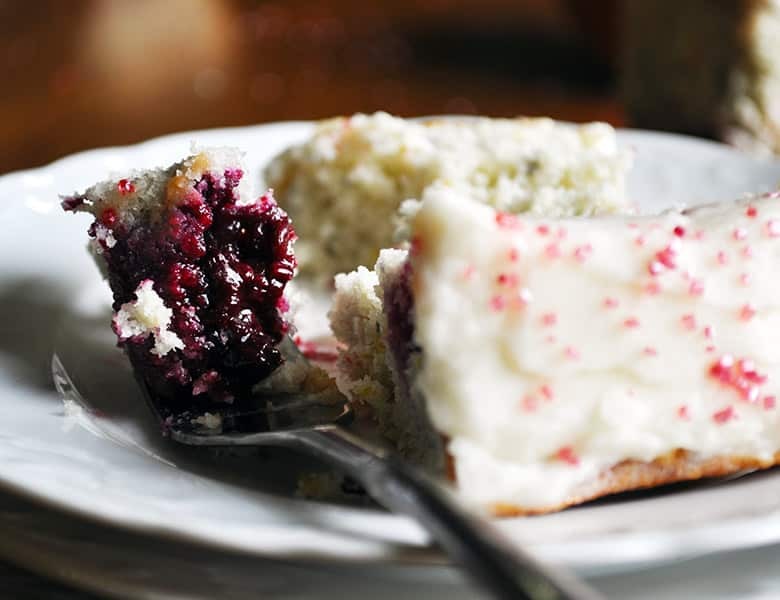 Cake will keep covered at room temperature for up to 2 days or in the refrigerator for up to 4 days.